Savanna caught this gecko on the side of our neighbor, Mr. Johnny's, house. We have often spotted and caught baby geckos but this one was exceptionally big for us. We tried to hand feed him some meal worms but it was having none of that. So we said good-bye and set it in the bushes. What a beauty! 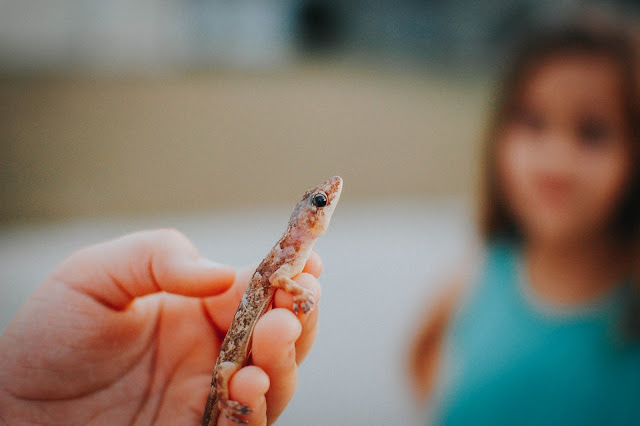 When my brother and I were out in Orlando several days ago taking care of my mom, we saw hundreds of anoles and some of the little beige geckos that hang out by her porch light, but none as pretty as that one. We couldn't figure out why the anoles all seem to run from right to left across the sidewalk--I don't think we ever saw them run left to right! I hope your mom is doing ok. If you are ever interested in meeting up let me know. That is too funny that you mention how the lizards run across the sidewalk. We have a bunch that run from the yardside of our sidewalk (the south) to the landscape side of the house (the north). I wonder if that is a habit or if they are just always running from foraging into their shelters. 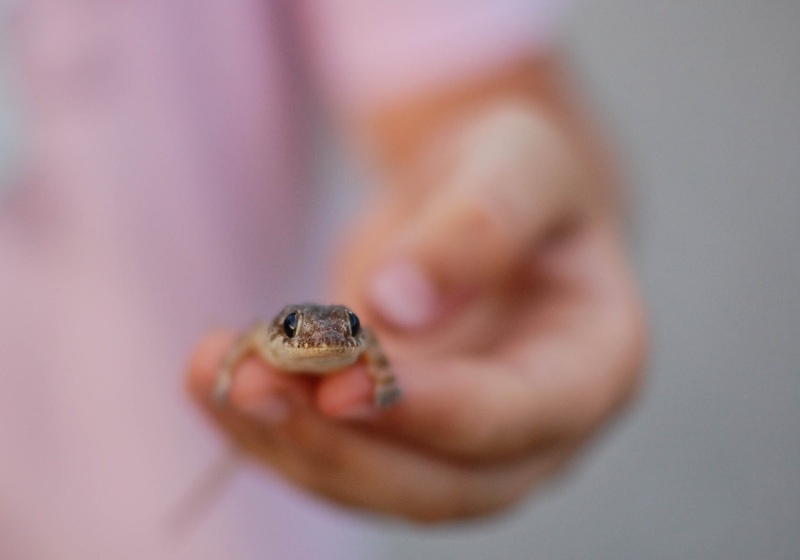 Did you see any bright green Florida anoles or just the brown Cuban anoles? We have more Cuban ones around here. 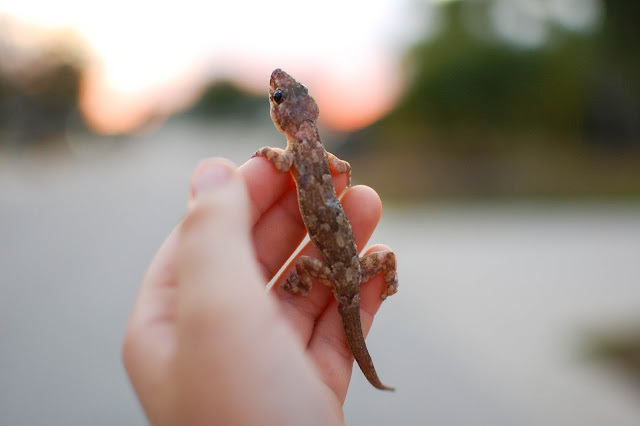 The geckos are just so cute. There is a big one that hangs out by my bath tub and will hop onto the window at night to catch moths. I have not seen her yet this year though. I am really loving a ton of the samples you sent. Some faves: L'Artisan Passage d'Enfer, Vanille Noire du Mexique, and the Givenchy Organza scent. Thank you! Mom is doing well, getting strength back and realizing she can't push herself too hard. I'm hoping to get back out there soon, so will definitely let you know. We only saw the little brown anoles, though my brother was really hoping to see a green one. Glad you are enjoying the samples. Passage is one of my all-time faves! Good. Glad to hear she is doing well. <3 I am sure she loves seeing you guys. I wore YSL Nu last night and could not stop smelling my wrists. It smells so classy and elegant.